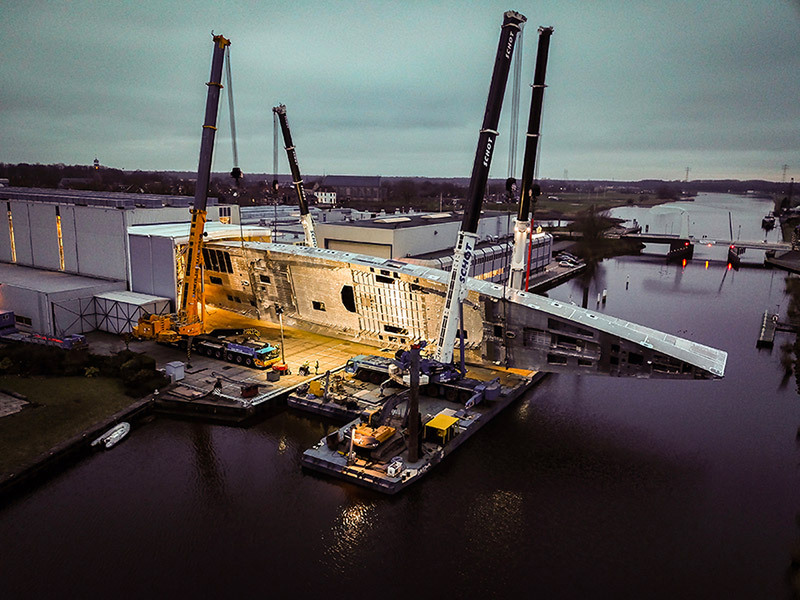 With an overall length of 81m / 266ft and a sturdy plumb bow, Project 400 is the largest yacht built by Royal Huisman to date, and will be ranked in the top 10 of the world’s largest sailing yachts. 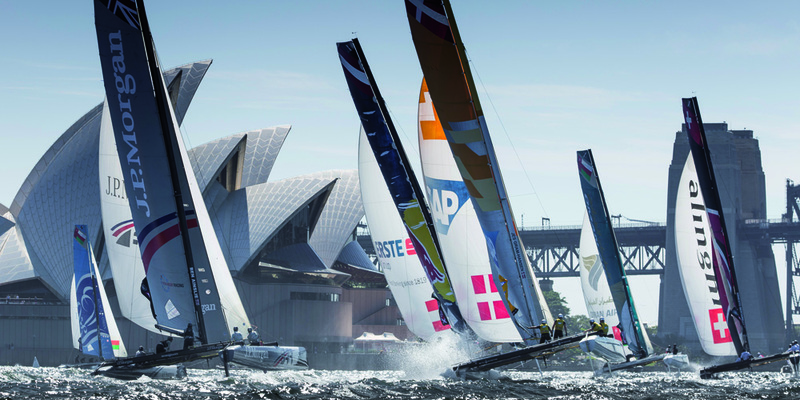 Upon her delivery in 2020 this schooner will be the world’s largest aluminium sailing yacht. 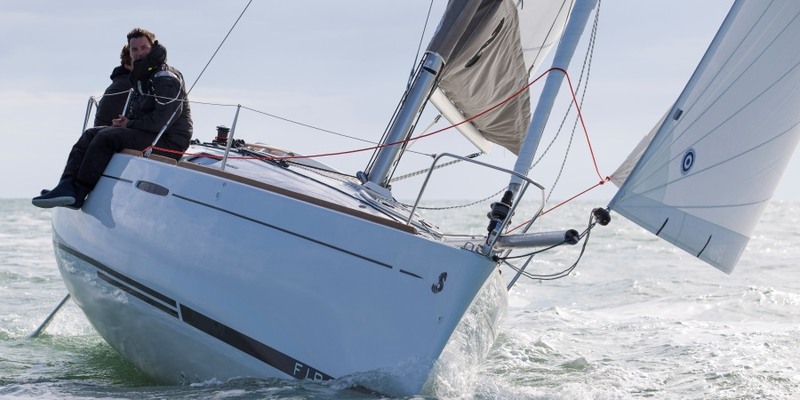 This new project was unveiled at the 2016 Monaco Yacht Show by the joint team of Royal Huisman, Dykstra Naval Architects, designer Mark Whiteley and the yard’s Asia-Pacific representative, Bart Kimman. 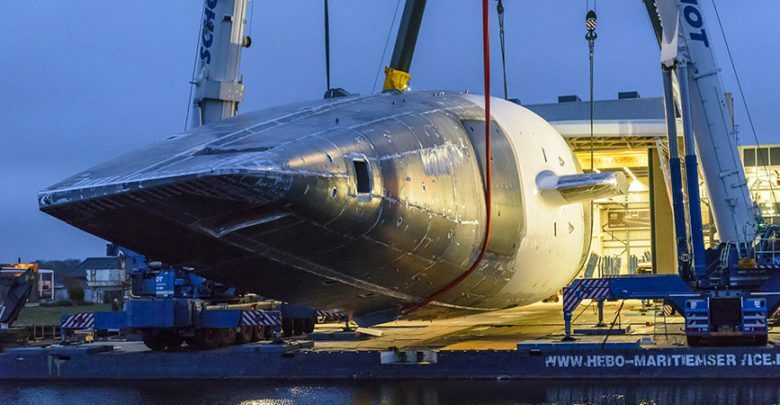 The assembly of Project 400’s aluminium hull started in June 2017. 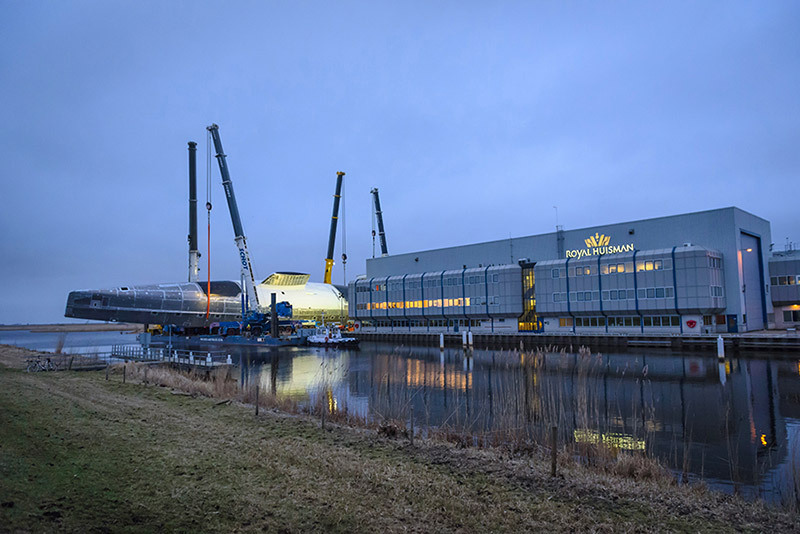 To facilitate the hull construction, Royal Huisman’s largest shipbuilding hall was semi-permanently extended and upgraded. 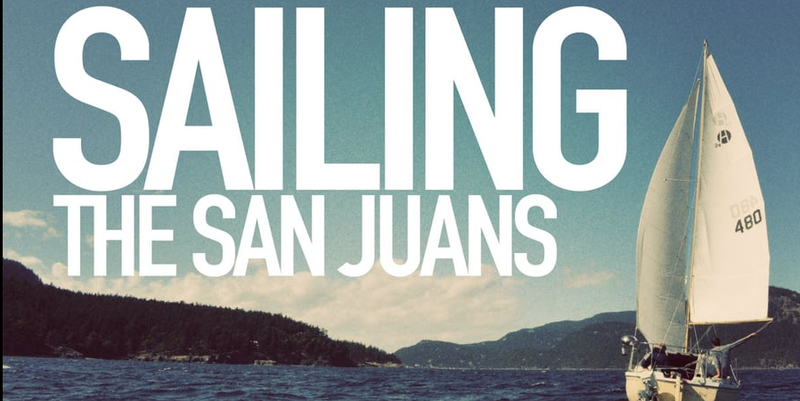 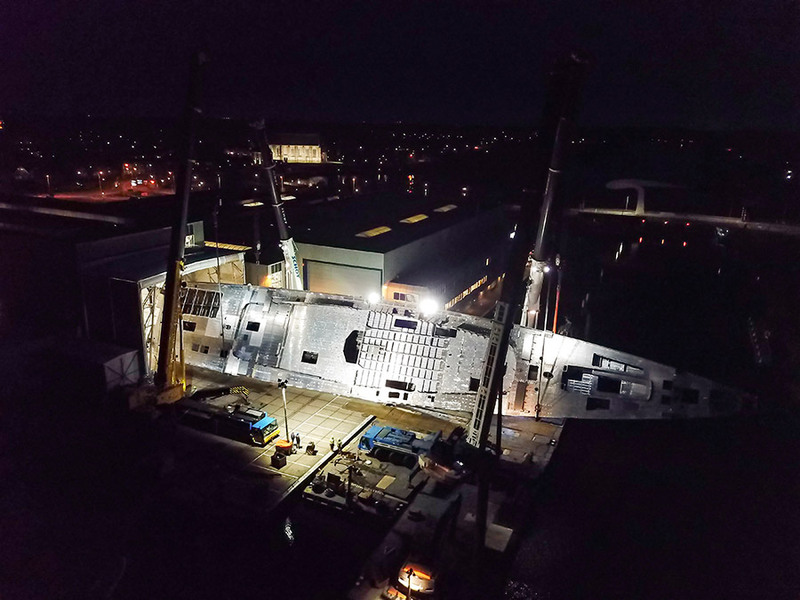 Simultaneously, the in-house specialists are working on Project 400’s superstructure, interior accommodation and board systems, whilst the production of the Panamax carbon rig and sail handling system started next door at sister company Rondal. 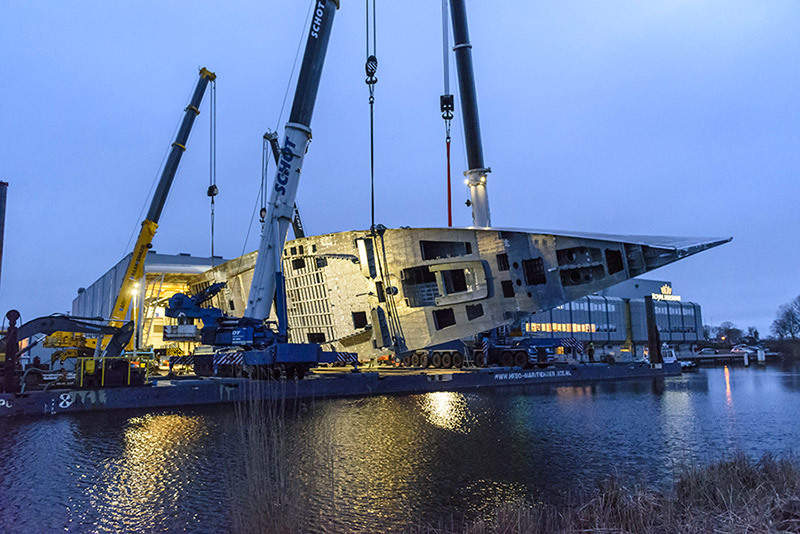 The massive aluminium hull of Project 400 was wheeled out of the construction hall and showed her scale. 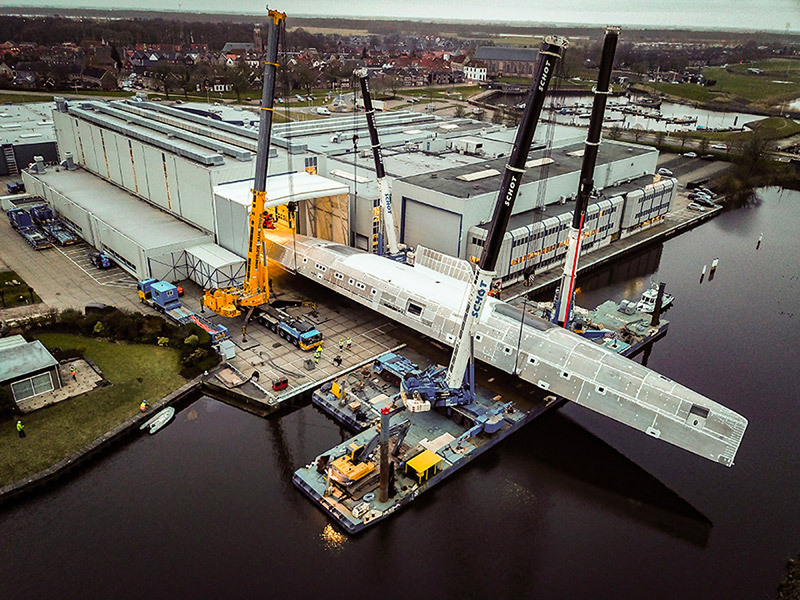 Four cranes performed the seamless manoeuvring routine, turning this work of art while she was hanging mid-air over the canal adjacent to the shipyard: the largest single piece lifted and turned by Royal Huisman ever. 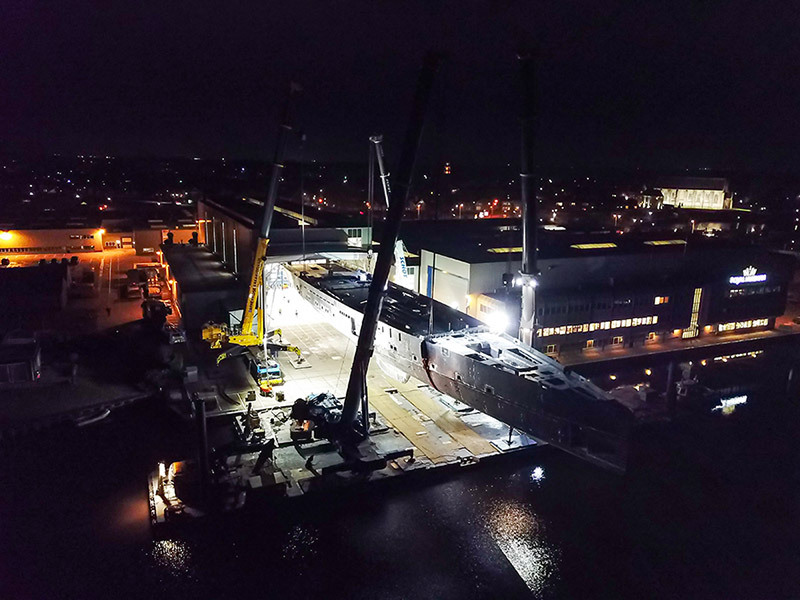 Before the end of the day the upright schooner hull was placed on a cradle and moved back into shipbuilding hall 2 that will be her home until completion in 2020.